Mary Ellen Laughlin was born in Ventura, California on January 17, 2006. She weighed 5 Lbs. and was 18 1⁄4 inches long. She was born by emergency C-Section due to her having Meconium Ileus, which is pooping in the sack from Amniocentesis. She was diagnosed at the time of birth with having Cystic Fibrosis. Despite the diagnosis she was a very happy baby. T rying to jump in and out of her crib to play with her brother Blake Jr. Laughlin and Rockelle Laughlin, who also had Cystic Fybrosis, and were all being hospitalized at the same time. 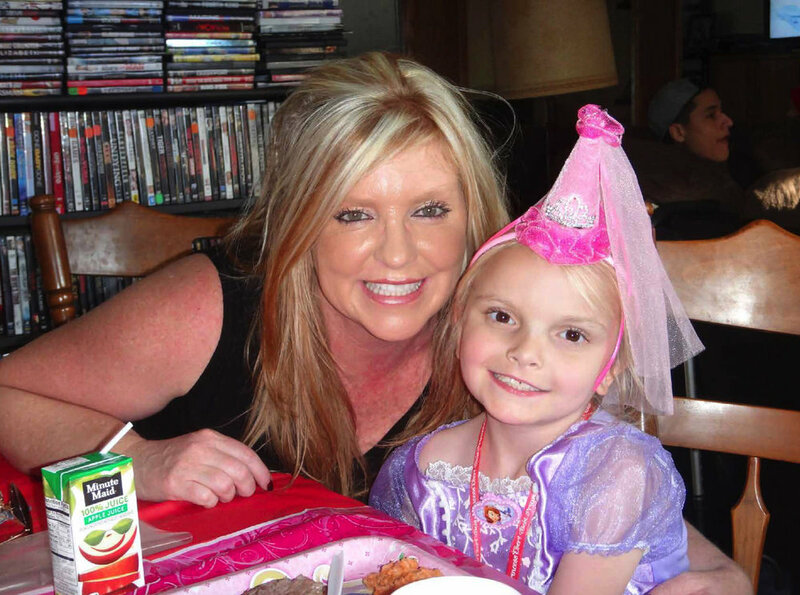 She spent most of her baby years in the hospital with complications from the Cystic Fibrosis. Having to have a G-tube at the age of only 3 months so that she can be fed the nutrients needed for her to survive. Mary enjoyed being with all of her brothers and sisters. Family meant everything to her. She had to endure the recent loss of her older brother Blake Laughlin, Jr. on July 2. 2017, with whom she was very close to. The brotherly and sisterly love they had for one another was inseparable. Blake only a few years older always watched over her and was her rock for survival. Mary is also survived by her older brother Kraig, younger half-siblings Faith and Christopher, step-sister Victoria, and step-brothers James and Anthony. She never referred to her siblings as half or step, they were all her brothers and sisters, and she loved them all dearly. Mary spent most of her childhood in and out of the hospital due to her illness, which a ected many things she wanted to do. She enjoyed going to school. She especially loved meeting new people and having friends. Her future goals were to be both a nurse and a fashion designer. She was an artist and loved to draw. She enjoyed reading. Teachers graded her as being advanced in her reading. Mary had a special place in her heart for everyone in her life. Her father Blake, mothers Lisa and Elizabeth, grandmothers Leslie and Connie, best friend Carrie, teacher Ms. Kelly, and all of her many brother and sisters. She loved them all and truly expressed her love in many ways. Mary suffered a loss that no child should ever endure. The loss of her brother really took a lot out of her. It was said before her passing that she HATED CYSTIC FIBROSIS! She missed her brother dearly and had a very hard time dealing with her illness without him by her side. Mary Ellen Laughlin sadly left us on December 5, 2017 at 11:52 a.m. due to inflammation of the liver and kidney failure. Her sudden death has left the family at a loss for words. We will miss her bright smile and the joy she brought to all of our lives.